As a natural progression of its service offering Facebook allowed the creation of Business pages, a service that expanded to allow Facebook users to sell products directly from Facebook. I am the first to concede that I am NOT a Facebook expert – far from it – but I have noticed these trends as I am admin for a few clients’ Facebook pages, and have had to use Facebook in the course of my work. The actual way in which people are selling products online differs. From a simple listing of products, and the exchange between buyer and seller on Facebook, to listing the products on Facebook, and linking to an online store where the actual sale happens. Why are people selling products online – on Facebook – and why am I so aware of it if I am not a Facebook Super-User? Why are people selling products online on Facebook? Very simply because the user base is so enormous. Very much like tossing a pebble into a pond, and watching the ripples expand from the point the pebble hit the water, a product listed on Facebook has the potential to reach a massive audience via sharing. The potential reach far exceeds what a stand-alone website is capable of, especially if one considers that most small businesses do not have the budget to allow extensive marketing campaigns to drive traffic to their websites. Attaining a reasonable amount of traffic through organic growth takes a long time. Time that most small businesses do not have. Why am I so aware of it if I am not a Facebook Super-User? Primarily we – Terry and I – are website designers/developers. Websites have been our core business for almost 10 years. As the Facebook Business Interface has grown we have noticed a significant decline in the number of enquiries we have been getting from small business owners. Does this bother us? Not really. Web design and development is constantly changing and as a web agency we need to develop along with it. We are frank and straightforward with clients who enquire with us about a website, and one of the first questions we ask a potential client is whether or not a Facebook page will serve them as well as, or possibly better, than their own website. As small business owners we are very aware of the critical nature of costs, and the impact costs can have on a new business. We would not appreciate a High Powered Sales Pitch to make an unnecessary purchase, and for that reason will not do this to a person who does not really have the resources at hand. Of course we will welcome any new work, but we do want to feel comfortable knowing that our client is well-informed. If you intend selling products online consider Facebook as your starting point. 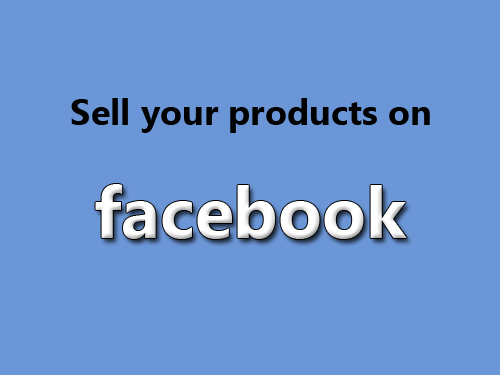 Create your page, list your products and sell them, without leaving the Facebook interface. In time – as your sales increase, as your product line increases, and as your profitability increases you may want to move your Sales to a website created specifically for selling products online. When your business reaches that stage we will be more than willing – and able – to help you create your website. For more information head over to our Contact page and drop us a line – we’d love to hear from you, and discuss your needs for an online presence.